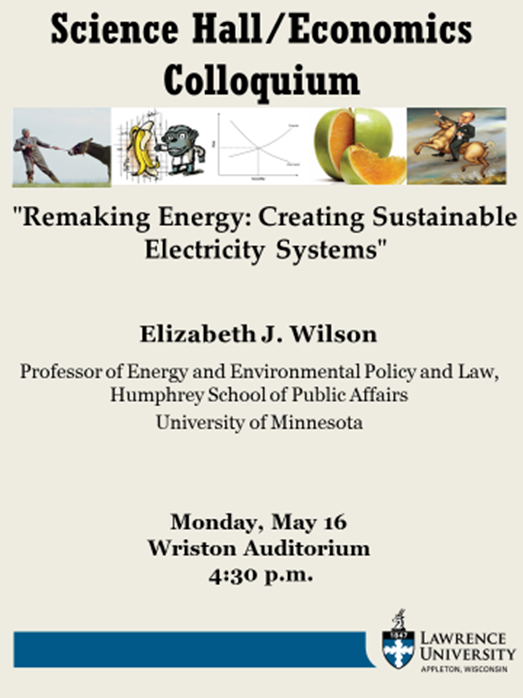 Professor Elizabeth J. Wilson from the Humphrey School of Public Policy at the University of Minnesota will be here Monday to talk about the (potential) future of electricity systems. Professor Wilson is a rather extraordinary interdisciplinary scholar, with a background in environmental science and a Ph.D. in Engineering & Public Policy from Carnegie Mellon University. She is the recipient of one of the inaugural (2016) Andrew Carnegie Fellowships for her project “Nuclear Futures in a Windy World: A Comparative Analysis Balancing Energy Security, Climate Change, and Economic Development.” She will spend the 2016-17 academic year in Denmark working on that. Here is a blurb of her talking about sustainability and interdisciplinary research. The winter 2016 issue of Resources Magazine is out, featuring some germane pieces for my courses on the “real” costs and benefits of federal regulations, and the Impacts of Biofuel Mandates on Food Prices and the Emissions. The first piece is an interview with Richard Morgenstern on his news study where he retrospectively evaluates the costs and benefits of regulations. Clearly, Morgenstern has been interested in this area for some time, having published “On the Accuracy of Regulatory Cost Estimates” in the Journal of Policy Analysis and Management back in 2000, a stalwart in the ECON 444 course. One of the main takeaways is that this exercise is something that is not regularly done and is surprisingly hard to complete. The forthcoming study Morgenstern talks about evaluates nine policies. The second piece, as the title suggests, tries to isolate the impact of biofuel mandates on food prices. The US Environmental Protection Agency has a Renewable Fuel Standard (RFS) that requires a certain portion of vehicle fuel to contain “renewable” sources. In practice, this generally means corn ethanol, and as a result the demand for corn is much higher than it would otherwise be (more than 40 percent of US corn is used to produce ethanol). This is chock full of partial-equilibrium analysis. The increase in the demand for corn should lead to a movement along the supply curve, and a simultaneous decrease in the supply of other substitutes in production. Meanwhile, as world income has gone up and many in developing countries are eating diets more dependent on animal protein. This further increases the demand for cereals for animal feed (for reasons I will let you infer). [I]f there were no biofuel mandates, food prices would increase—by about 15 percent in 2022 compared to the base year 2007. When we superimpose the US and EU biofuel mandates, world food prices go up by 32 percent. Our results highlight the impact of increased meat and dairy consumption on the projected growth of food prices. Put another way, if diets were kept constant, food prices would actually fall over time without energy regulation. Then, with the biofuel mandates, they would rise by only 7 percent in year 2022. An important conclusion from our analysis is that under no scenario do we get a major reduction in global carbon emissions. Under the RFS, US emissions fall by about 1 percent; however, that leads to a lowering of global crude oil prices and an increase in oil consumption overseas. Moreover, because of all the new land being farmed, the RFS also causes an increase in carbon emissions. Aggregate global carbon emissions (from both direct burning of fuels and land use changes) increase from 13.4 billion tons of carbon dioxide equivalent to 17.8 billion tons in 2022. Emphasis mine in both cases. As a colleague of mine used to say, if you want to grow fuel, grow fuel. Don’t grow corn and turn it into fuel. If the topic interests you, check out the symposium on agriculture in the Winter 2014 Journal of Economic Perspectives. For Whom Does the IPCC ‘Tol’? I probably have more thoughts on this than I will convey here, but I have seen a number of unusual items related to the economics of climate change. First, a few weeks ago I saw that University of Sussex economist Richard Tol had begged off the Intergovernmental Panel on Climate Change because he disagreed with how the recent IPCC technical report was translated into “journalist speak” in the Summary for Policy Makers (SPM). The SPM takes several thousand pages of technical reports and boils them down to an Executive Summary in the 25-50 page range. The drafts became too alarmist…. It is pretty damn obvious that there are positive impacts of climate change, even though we are not always allowed to talk about them…. They will adapt. Farmers are not stupid. Okay, here is a rebuttal from an IPCC co-author. Of the 19 studies he surveyed only one shows net positive benefits from warming. And it’s the one he wrote,” said Bob Ward, policy and communications director of the Grantham Research Unit on Climate Change and the Environment at the London School of Economics. Meanwhile, Harvard’s Robert Stavins — a giant in environmental economics, really — has come out and publicly harangued the IPCC over its SPM saying “the resulting document should probably be called the Summary by Policymakers, rather than the Summary for Policymakers” (his emphasis). Professor Stavins is specifically addressing the part of the report that he helped coordinate, and is very clear that it is the SPM, not the chapter it is based on, that he takes issue with. As someone in teaching environmental economics year in, year out, I can say I am a more than a little distressed that some top-flight economists are worrying about the politicization of the IPCC SPM. 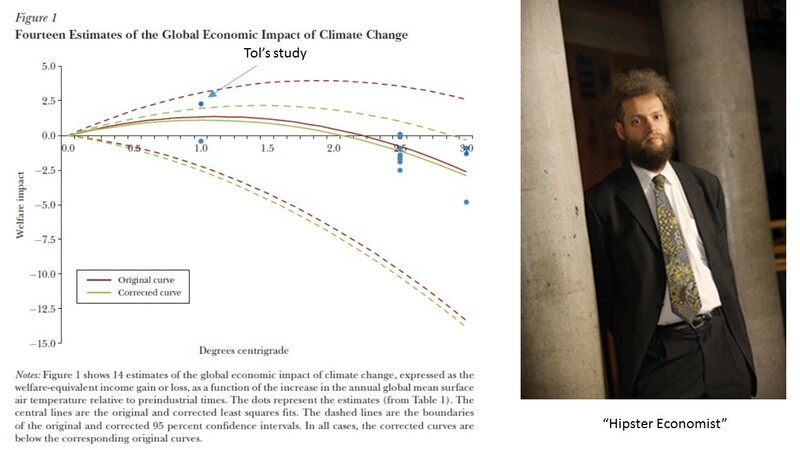 The Figure is from the JEP article (click for a bigger image); the “hipster economist” reference is here. The kerfuffle over the figure is that the little dots represent the central estimates, and most of the estimates show negative impacts on GDP. The glaring exception is Tol’s own estimate of a 2.3% increase at 1 degree (C) of warming, which likely accounts for the shape of the fitted curve (the other study he reports with 1C warming estimates a loss of -0.4% of GDP). As the quote critical of Tol says that “of the 19 studies he surveyed only one shows net positive benefits from warming. And it’s the one he wrote.” That appears to be approximately accurate, though there is one other study that estimates zero to 0.1% increase at 2.5 degrees warming. The larger issue is probably that the economic impacts simply aren’t as big as one would think. Of the 20 studies Tol cites, about half look at 2.5C of warming, and the average impact on world GDP among these studies is about a 1% of world GDP. Unfortunately, most studies haven’t gone out very far past that, and I would guess that most people who have looked at carbon emissions and projected temperature increases believe the impacts will exceed 2.5C, and no matter who you ask, damages appear to be increasing at an increasing rate at that point. The link to the article is above, and all the data from the article are available here. Tol has a more complete essay on his views in the Financial Times. I will be showing the PBS Series, Cadillac Desert: The American West and its Disappearing Water, Wednesday and Thursday night in Briggs 223. The episodes will go off on the hour each night. Episode summaries are here. The documentary series is based on Marc Reisner’s epic novel about western water development, and particularly the role of the Bureau of Reclamation and the Army Corps of Engineers in shaping that destiny (NYT review here). The first episode is about the delivery of water to Los Angeles and how that shaped the development of that urban area. The second focuses specifically on the Colorado River and how that is divvied up. The third episode looks at agricultural development in California’s Central Valley. For you homebodies, the YouTube playlist is here. The $1.5 billion mine would initially be close to four miles long, up to a half-mile wide and nearly 1,000 feet deep, but it could be extended as long as 21 miles. In its footprint lie the headwaters of the Bad River, which flows into Lake Superior, the largest freshwater lake in the world and by far the cleanest of the Great Lakes. Six miles downstream from the site is the reservation of the Bad River Band of Lake Superior Chippewa, whose livelihood is threatened by the mine. Before the passage of the bill, Marcia Bjornerud, a geology professor at Lawrence University in Appleton, Wis., testified before the legislature that samples she had taken from the mine site revealed the presence of sulfides both in the target iron formation and in the overlying rock that would have to be removed to get to the iron-bearing rocks. (When exposed to air and water, sulfides oxidize and turn water acidic, which can be devastating to rivers and streams, along with their fish populations.) Sulfide minerals, Professor Bjornerud said, would be an unavoidable byproduct of the iron mining. But the bill does not mandate a process for preventing the harm from the sulfide minerals that mining would unleash. 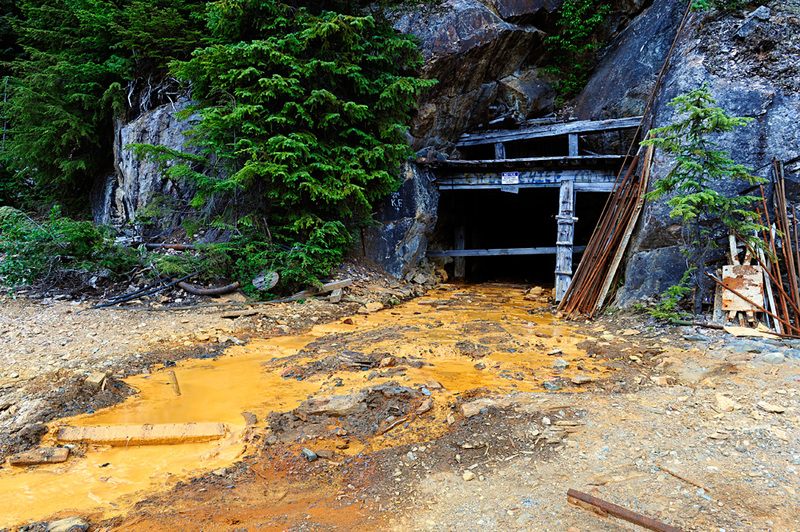 Acid drainage is a particularly nasty problem associated with many mining projects, so these issues tend to be at the fore of any mine permitting process. When sulfides are exposed to water and air, they oxidize and become acidic. The overhead shots from problem mines often look like someone dumped battery acid into a sink (see here from this photo essay of a particularly egregious case). Thnx to “Mr. E” for the pointer. My guess is that, like most crop farming, marijuana cultivation would use a lot less energy per unit output if it was grown at scale. Indeed, it’s kind of hard to imagine that any indoor growing would be efficient at $0.15 kWh. 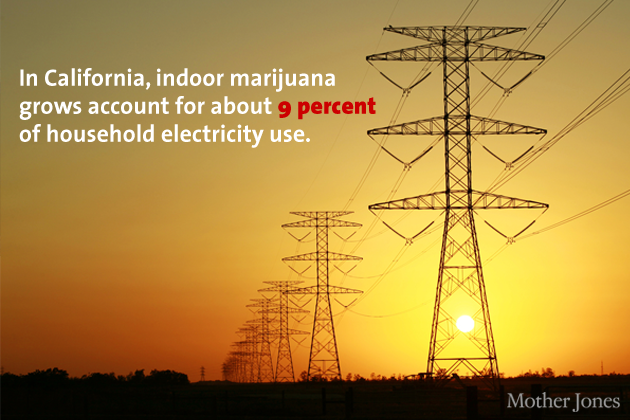 Even so, nine percent of electricity use seems incredibly high. Back in 2003, the combination of heat and bad air quality in Paris got so bad that it claimed the lives of an estimated 10,000 people. That was one nasty wave of heat and pollution. It seems that something other than love is in the air once again, and things have gotten so bad that Paris officials banned all cars with even numbered license plates this past Monday. The reason is the shockingly high levels of particulate matter concentration (PM). PM is a “criteria” pollutant regulated by the EPA, and it is linked to possibly several hundred thousand premature deaths each year. In the US, however, the dominant source of emissions is coal-fired power plants, whereas the EU has a much bigger share of its passenger vehicles powered by diesel fuel. These diesel vehicles are much greater contributor to PM than the gasoline-powered vehicles common in the US. The safe limit for PM10 is set at 80 microgrammes per cubic metre (mcg/m3). At its peak last week, Paris hit a high of 180 mcg/m3 but this had fallen to 75 mcg/m3 by Monday. I suppose the fact that it fell to 75 mcg/m3 is comforting, but that is still very high. As a basis for comparison, I picked a monitoring station from Los Angeles –one of the heaviest polluted urban areas in the US. The data are available at the EPA air trends site, which tracks every monitoring station. Notice that the standard is the second-highest average for a 24-hour period, with the U.S. standard at 150. Also notice that the 75 mg/m3 that Paris returned to is still about as bad as it gets down in LA these days. Taking the Flare Out of US Energy Production? The Dakotas continue to be in the news for something other than Al Swearengen’s vocabulary, as the hydraulic fracturing boom continues the dramatic expansion of natural gas and oil production. In fact, the natural gas production has driven domestic prices so low that almost a third of all natural gas is simply burned off, called “flaring,” as the marginal cost of capturing and sending it to market is evidently higher than the market price. Yes, you read that correctly, almost a third of all natural gas production is literally set on fire rather than captured and sold to consumers. Consequently, the bright lights of North Dakota can now be seen from space. One of the reasons natural gas production is so abundant is that it is a co-product with the far more valuable shale oil down there, and the Energy Information Agency (EIA) estimates that the US will be the leading oil producer in the world by 2020, producing more than any single country in OPEC. That is hard to believe. But back to the gas — doesn’t that seem rather silly, all that flaring? Do economists really believe that this is the “efficient” use of a scarce resource. And one of the main reasons is that the “external” cost of the carbon dioxide remains unpriced. Economist Ed Dolan discusses the basic economics of flaring and the potential effects of a carbon tax. Of course, my guess is that given the discrepancy between U.S. and world natural gas prices (or here), we should be seeing the opening up of more robust export markets some time in the future. Or, one would expect that we would. Another possibility is a move to natural gas in the transport sector. Either way, the brown revolution is upon us. [F]or the first time since EIA began collecting the data, generation from natural gas-fired plants is virtually equal to generation from coal-fired plants, with each fuel providing 32% of total generation. The 32% number for coal is astoundingly low, as within the past decade the conventional wisdom was that coal was likely to provide the majority (>50%) of electricity generation. The Washington Post included this graph in its blurb on the demise of US coal. What does it all mean? Well, it means a lot. One of the causes of the switch is the much, much lower price of natural gas over the past several years. The switch from coal to natural gas also significantly reduces carbon emissions per unit of electricity output. If there is a story about incentives that is more awesome than this one, I’d be interested to hear it. Each time the loaded train crossed the border the cargo earned its owner a certain amount of Renewable Identification Numbers (RINs), which were awarded by the US EPA to “promote and track production and importation of renewable fuels such as ethanol and biodiesel.” The RINs were supposed to be retired each time the shipment passed the border, but due to a glitch not all of them were. This enabled Bioversal to accumulate over 12 million RINs from the 24 trips, worth between 50 cents and $1 each, which they can then sell on to oil companies that haven’t met the EPA’s renewable fuel requirements. It’s like a children’s joke: why did the train cross the border? As the man says, if you pay people to do something, you’ll get more of that something. I wonder if this type of thing goes into the life-cycle analysis of biofuels? The Oak Ridge Institute for Science and Education (ORISE) has several research projects available at the U.S. Environmental Protection Agency (EPA). These projects provide opportunities to participate in ongoing research activities at various EPA offices and locations. Qualifications, appointment location and appointment length vary depending upon the project. Participants will receive a stipend depending on educational level and research experience. The ORISE Research Participation/Internship Programs at the EPA are designed to provide a flow of scientists and engineers into the EPA to participate in current research and development activities and studies, and related projects. In addition, the program links the EPA’s technologies with the capabilities of the academic community. Check http://orise.orau.gov/epa/ for details and the application. 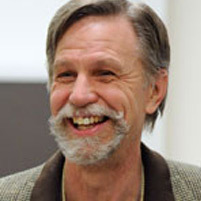 In this TEDx talk , economist and aguanomics blogster David Zetland contrasts key differences between “push” systems in which water policies control people’s use of water with “pull” systems that are decentralized and encourage water trades to both improve efficiency and equity. The technology of the talk isn’t terrific, but the ideas are worthy of attention. Does the Public Trust Scientists? Here is Stanford’s Jon Krosnick giving a very nice talk about the U.S. public’s view on climate change. Krosnick responds to the idea that “Climate-gate” and media saturation and the economic malaise have somehow changed public opinion, and convincingly argues that they have not. Indeed, Krosnick shows that the public generally trusts scientists, believes in global climate change, believes in human activities’ impact on the changing climate, and generally believes the scientific community knows its science. Take a look starting at 23:30, though. It turns out that when scientists start talking about policy, all you-know-what breaks loose. The public basically doesn’t believe that scientists know what they are talking about when they start talking about policy. It gets worse, though — when scientists talk policy, respondents are less confident that the scientists know their science! The final kicker is that it dampens support for government action on climate change. Check it out for a marvelous cautionary tale. I wonder if this carries over to economics and economic policy? Pete Nelson will be on campus Thursday to talk about his experiences with sustainable and small structure construction and tree houses. Pete owns Treehouse Workshop and Nelson Treehouse and Supply, both based right outside of Seattle. Through these companies he runs workshops to teach people how to safely build their own treehouses and designs and builds treehouses for clients. His talk will cover issues of small living spaces and how this can be a problem with building codes and regulations and how these laws affect building in trees in general. It will also include some design aspects and sustainability considerations such as choosing an appropriate site, salvaged building materials and the impact of the place on the structure and vice versa. The talk will take place at 7:30 pm on Thursday, May 31st in the Cinema in the Warch Campus Center. What will be the technology of the future for US electricity generation? Although carbon capture and sequestration (CCS) has the potential for steep reductions in CO2 emissions, CCS faces many potential regulatory hurdles and public acceptance issues. Moreover, the technology is expensive – both in terms of additional capital costs and the additional fuel needed to capture, compress and transport the CO2. I talk through some of my recently published work that assesses the decision to build new natural gas and coal-fired plants given future market and regulatory uncertainty, particularly uncertainty about future natural gas and carbon prices. I conclude that CCS will not be commercially viable without beaucoup public financial support or outright mandates. I finish with some speculation on how the current fracking boom will affect energy and electricity markets. It appears that it will be natural gas all the way down as the principal source of new added generation capacity. Via Prof. Brozek for those of you interested in knitting &/or ice. Helen Fields has written for Smithsonian, National Geographic, Science, and other publications. In 2009, she spent a month and a half aboard a U.S. Coast Guard icebreaker off Alaska, following scientists around while they did research on the ecosystem of the Bering Sea as part of a massive multi-year collaborative project. Her essay about the experience, along with Chris Linder’s photography, was recently published in Linder’s new book, Science on Ice: Four Polar Expeditions (University of Chicago Press, 2011). Just in time for Earth Day, the Environmental Protection Agency (EPA) issued a final rule on hydraulic fracturing (a.k.a. “fracking”) this past week. Remarkably, it looks like the rule passes a benefit-cost assessment without even quantifying any benefits. Why is that? On the one hand, it isn’t clear what the benefits are. While we expect that these avoided emissions will result in improvements in air quality and reductions in health effects associated with HAP, ozone and particulate matter (PM), as well as climate effects associated with methane,we have determined that quantification of those benefits and co-benefits cannot be accomplished for this rule in a defensible way. This is not to imply that there are no benefits or co-benefits of the rules; rather, it is a reflection of the difficulties in modeling the direct and indirect impacts of the reductions in emissions for this industrial sector with the data currently available. The more remarkable result is that the costs are negative. That is, the agency projects the industry will save millions of dollars by complying with the regulations. And, why is that? The engineering compliance costs are annualized using a 7-percent discount rate. The negative cost for the final NSPS reflects the inclusion of revenues from additional natural gas and hydrocarbon condensate recovery that are estimated as a result of the NSPS. Possible explanations for why there appear to be negative cost control technologies are discussed in the engineering costs analysis section in the Regulatory Impact Analysis (RIA). Notice they are discounted at a (real) 7 percent rate. The lecture is at 4:30 in Steitz 102. Dr. Spees has broad expertise in technical and policy aspects of electricity markets, including reliability and pricing. She earned an MS in electrical and computer science and a Ph.D. in Engineering & Public Policy from Carnegie Mellon. She completed a BS in mechanical engineering and physics from Iowa State University. She will also give a talk to the ENST 151 class at 11:10, “Introduction to the Electric Power Industry.” Please see Professor Gerard if you are interested in attending. It’s time for the Environmental Studies Fest, this Thursday, March 8th at 4:15 pm in the Atrium between Youngchild and Steitz Halls. Come see what ENST students have been up to……and get Snacks! No Nukes is Good Nukes? Or, No Nukes is Bad Air? What if the U.S. phased out its nuclear power plants? Where would the power come from? Would the reliability of the electricity system suffer? What about the effects on emissions of carbon dioxide and criteria pollutants? Paul Fischbeck provides his approach to addressing these questions, along with some provocative results, in the inaugural lecture of a new Economics Colloquium series. He is professor in both the Departments of Engineering & Public Policy and Social & Decision Sciences at Carnegie Mellon, and an expert on quantitative risk assessment and the treatment of uncertainty.